MDF is available in FSC, BUT MUST BE ASKED FOR. 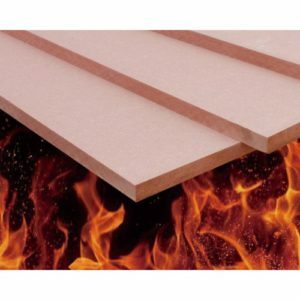 MDF is an engineered wood product made of softwood fibres glued together under high pressure and heat. MDF is smooth and has no knots and is machine able. There are two classes of FR. These two current European standards are FR C & B, which superceeded the old BS746 class 1 & class O. Please note that C is not a direct replacement for class 1, and B is not a direct replacement for class O. Please check specifications.